Navigating ADHD During The Holidays: Planning and Strategies for Parents and Children | Navigating ADHD Inc.
Now is the time of year when our thoughts, time and energy turn to the excitement and anticipation of the holidays. From Black Friday to Cybermonday, and planning family getaways and gatherings — all can take the place of normal routines throughout the year. Let’s face it, the holidays are a beehive of activity for everyone. It can be during these times that families and parents with children diagnosed with ADHD can feel overwhelmed or alone in dealing with the holiday festivities and planning for the holidays. Afterall, you worked hard all year to get your child into a routine with activities, homework and chores, and the holidays can present many distractions and challenges. This can be difficult and stressful for parents as getting a child into a regular routine can take months or even years. And the benefits of such a routine help you, your family and your child to effectively manage ADHD symptoms. 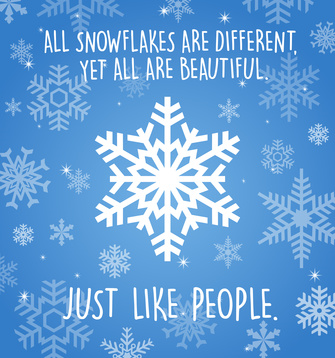 So as a parent, how do you enjoy the sights, sounds and even smells of the holiday seasonwhile ensuring a positive and memorable time for all? Create a schedule – To prepare you, your family and child for a memorable season, firstly understand that you must allow for and be willing to build flexibility into your child’s routine. 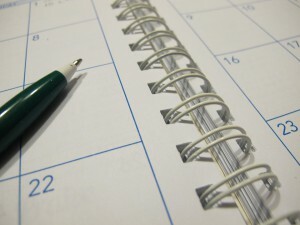 Build a schedule around your holiday plans. Within your schedule build in “free time” for your child to enjoy the holidays and have down time. Also, plan for any schedule changes. For example, highlight in on the calendar. That gives your child time to process and adjust to the change. Difficulty taking turns in conversations – Help your child learn to engage in conversations with others and understand the importance of taking turns in conversations. If your child interrupts frequently, ask the question, “what do you think the person you’re talking to experiences when you’re interrupting?” Instead of stating that his interruptions are annoying, asking a question will help your child to see the other person’s perspective and increase his understanding of taking turns speaking during a conversation. Avoid excessive talking or interrupting – Children with ADHD often express excitement and enthusiasm when telling stories or sharing their experiences. Being a great story teller is a great skill to have. However, in daily conversations with others it can present a challenge. Therefore, if you notice that you child is monopolizing the conversation, or telling a long, meandering story, give him a verbal cue to get him back on track. The goal is to trigger the awareness in your child that he needs to bring his story to a conclusion. You and your child can develop and discuss a discreet verbal or visual cue ahead of time, such as touching your ear. Lack of Awareness of Extreme Behavior – Relatives that you only see once per year can be challenging houseguests for anyone. Your child may be asked to give up his bedroom for Aunt Agnes. If your child is experiencing holiday stresses and exhibiting extreme behavior, then help him to increase his awareness of being extreme. Excerpt from Navigating ADHD, Your Guide to the Flip Side of ADHD: For example, to help him modify his behavior, you can start by describing all the positive extreme qualities he possesses. Is he extremely energetic? Is he extremely empathetic? Many children with ADHD have extreme love for their family. Emphasize how much you love these extreme qualities. After you have emphasized the positives, you can introduce one or two of the challenging extremes. For example, you could say, “You know how you’re extremely enthusiastic? Sometimes, that enthusiasm makes you extremely loud in class. How can we work on your voice volume so that just your enthusiasm shines through?” This conversation introduction begins with the positive, points out the challenge, and ends with the positive. Use Calming Techniques – Airport delays and weather can be aggravating for everyone. To calm your child, teach him/her natural calming techniques such as deep breathing exercises, and help him/her understand why deep breathing works. Share with him/her that it brings more oxygen to the brain. Deep breathing slows the breath (inhalation and exhalation) and helps to bring focus and awareness to the moment. The body and brain get more oxygen which produces a natural calming effect and slows the brain waves and internal chatter. An ideal time is to set aside time and practice before bedtime to help your child practice and sleep more soundly. To do so, take long inhales and exhales and focus on both. Gradually slow the breathing and focus on the pause between breaths. Therefore, when you sense that your child is becoming over stimulated or you are about to experience a stressful situation, lead your child in a deep breathing exercise. Remember, despite the shopping, cooking and house guests, the holidays are shared times for memories and family time. Understanding that you have the tools and resources for you and your child to navigate the joys and stresses of these times can bring you peace of mind and help create memories that can be shared for a lifetime. 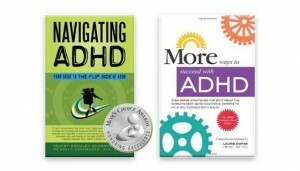 Visit our recommended online store to purchase Navigating ADHD: Your Guide to the Flip Side of ADHD at a special discounted holiday rate.